U.S. Army Reserves welcomes new ambassador. 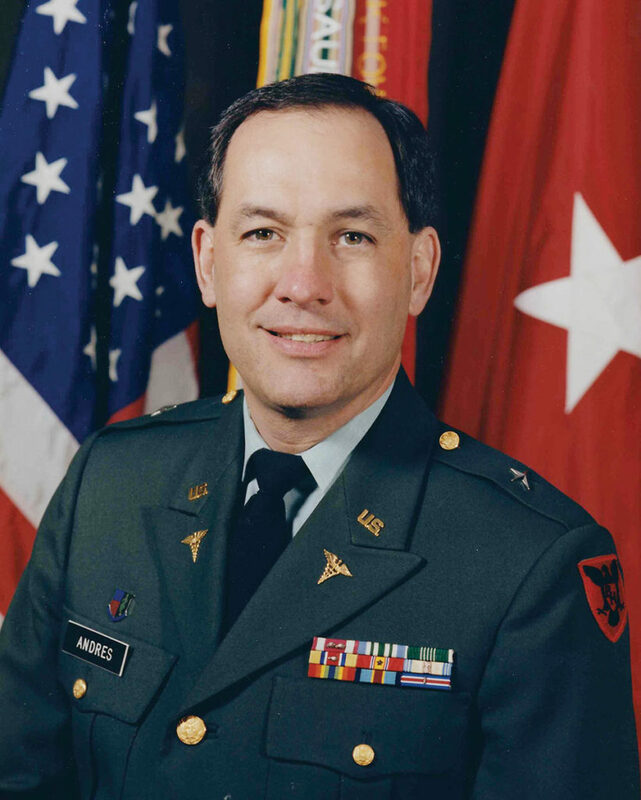 Dale Andres retired in 1995 after spending nearly a quarter of a century serving in the U.S. Army and Army Reserve where he attained the rank of brigadier general. During his first retirement, Andres took a position as chief pathologist and chief medical officer at Mercy Medical Center in Des Moines. Now Andres has retired again, and during this retirement, the doctor and former general accepted an appointment to serve as a U.S. Army Reserve Ambassador to Iowa. Army Reserve Ambassadors are the Reserve’s bridge to communities, and they serve without salary, wages or related benefits. As ambassador, Andres will work to ensure the Reserve’s contributions are clearly understood and supported throughout the community. “The United States Army Reserve has a significant presence in Iowa,” he says. The military Reserve operates 22 facilities in Iowa with 169 units and detachments and more than 2,100 soldiers utilizing the facilities. The economic impact of the Army Reserve presence in Iowa is $41.4 million. Achieving political objectives is also on the agenda for Andres. He hopes to meet with state legislators to win state funding for scholarships and other programs that benefit Reserve members in the state. After all, it was programs like these that helped Andres pay for medical school. After high school in East Waterloo, he attended what is now known as Des Moines University (DMU). Upon graduation, Andres lived in San Antonio, San Francisco, Iowa, Illinois, Germany and Arizona. Most of these opportunities were directly or indirectly because of his Reserve’s commitment, and he wouldn’t trade them. As such, Andres is also looking forward to helping with recruiting efforts. Andres and his wife, Marie, have two children, and the couple resides in Des Moines.